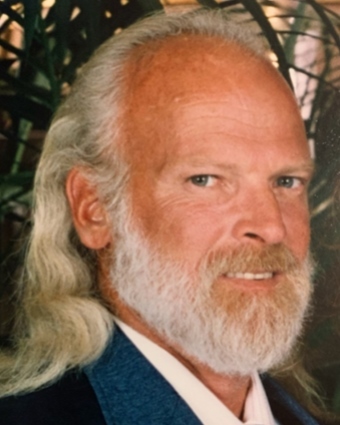 Gary E. Schmidt, 66, passed away Saturday evening, January 12, 2019, at the home he shared with his wife, Beckie, in Ontario, Oregon. Gary was born to Edward F. and Gertrude (Kaye) Schmidt on October 28, 1952, in Kenosha, Wisconsin; he was the youngest of three children. The family moved to California when Gary was three years old; and this is where Gary attended school. Gary joined the US Navy in 1970 and served on the USS Juneau during the Viet Nam War. He also served on the USS Orion and was a plank owner on the USS Belleau Wood. He ended his 21 year Navy service as a Navy Recruiter for Northern Arizona in 1991. He loved to travel. Gary crisscrossed this country many times either in the cab of an 18 wheeler, in his motor home, or by car/SUV. He truly enjoyed seeing this land he had so proudly served and was very at home in nature. He tried to always put a smile on the faces of those he met along the way. Gary is preceded in death by his parents; step father, Jim Medlin; and one sister, Linda Daisey. He is survived by his wife, Rebecca; one sister, Judy Howard; son, Erik Schmidt; daughter, Serena Floquet; step children, Melissa Grandinetti, Patricia Meaden, and Matthew Shirley. Gary has 11 grandchildren and 3 great grandchildren. A celebration of life will be held at the American Legion in Payette, Idaho on May 11, 2019. The VFW Post 2738, of which Gary was a life time member, will do the honors and are helping to establish the Gary E. Schmidt Community Action Memorial Fund. This fund will be used to help veterans in Payette and Washington counties with special consideration for those exposed to Agent Orange, as was Gary.